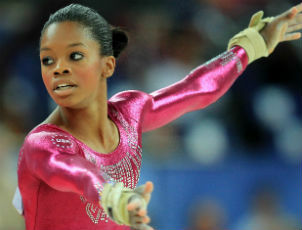 GabbyÂ Douglas has barely had time to enjoy her Olympic all-around gymnastics success and now it’s time to get back to work. Douglas and the rest of the U.S. women’s team convened Monday night in Ontario, Calif., to begin rehearsals for the Kellogg’s Tour of Gymnastics Champions. Nastia Liukin, the 2008 Olympic all-around champion, is participating and helping choreograph the three-month tour that opens Sept. 8 in San Jose. Liukin says she’s been impressed with how Douglas has handled herself since the 16-year-old wowed at the Olympics with a gold medal in the all-around. She’s encouraged Douglas to enjoy every moment of her newfound success and fame.